Vitamin C, mainly found incitrus fruits and fresh vegetable, is highly therapeutic and can be used to effectively treat a number of viral infections. It can also build up one’s immunity against these diseases. The most notable effect of the rehabilitating power of vitamin is seen in its ability to lessen symptomsassociated with dengue fever, Zika virus, and some other similar infections. According to Natural News, research conducted by Thomas E. Levy, a Medical Doctor revealed that 10 packets of liposome-encapsulated vitamin C (1000 mg per packet) gave a complete cure to a 15-year-old Colombian female patientwho was in distress from hemorrhagic dengue fever. He confirmed that this patient, after the vitamin C treatment, got well within a 48-hour period. Similarly, it has also been proven that this highly therapeutic vitamin also aids in the treatment of the Zika virus. 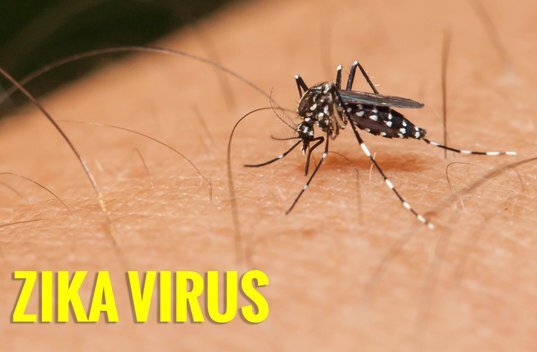 In a case reported in the year 2010, a group of researchers treateda patient with symptoms associated with the Zika virus, by administering high doses of intravenous vitamin C continually for three days, the patient was completely healed without any adverse effects seen after the fourth day. Vitamin C, also known as ascorbic acid, is a water-soluble, carbohydrate-like substance that is involved in certain metabolic processes of humans and animal. It is a potent substance which when aided by oxygen, prevents harmful chemical reactions in the body. It shields the human body from damage made by free radicals. It is an effective drug which can be administered to treat a lot of illnesses and diseases and defend the immune system by fighting infections. Vitamin c is a true example of the phrase that goes, “an ounce of prevention is worth a pound of cure.” This is the reason health workers would continually promote the constant consumption of foods containing vitamin C.
One can find vitamin C present in citrus fruits such as oranges, lime, lemon and also food crops like tomatoes, red peppers, broccoli, green peppers and so on. This vitamin is also an essential nutrient needed to make several enzymes and the immune system work. Ottawabusinessdaily, notes that nutritional therapies such as vitamin C treatments are simple low-cost methods of interrupting the transmission of various viral infections, as well as reducing one’s susceptibility to these diseases. They cite a research study entitled "Vitamin C in Disease Prevention and Cure: An Overview.”In the course of this study, scientists came to the conclusion that the antioxidant which is found in vitamin c has a lot of therapeutic effects which have not yet been discovered. It has a great effect on the ways in which the body reacts to infections introduced into the body system. Adding vitamin C as a supplement to one’s food will certainly aid the prevention of ailments and diseases. Vitamin C can also be used to treat a lot of inflammatory conditions.Scientists are still conducting further research to find more unknown benefits of this vitamin.